"RICHMOND, Va. (WRIC) — Thursday is National Coffee Day and we thought it’d be a good time to check in with Doug Orleski. You probably know him as local cartoonist and Style Weekly contributor RVA Coffee Stain. He’s a favorite of the morning show crew and, no surprise, several of his works of art include the caffeinated beverage." Excited to join the team of contributors at Style and contribute a weekly 4x4 one cell cartoon. 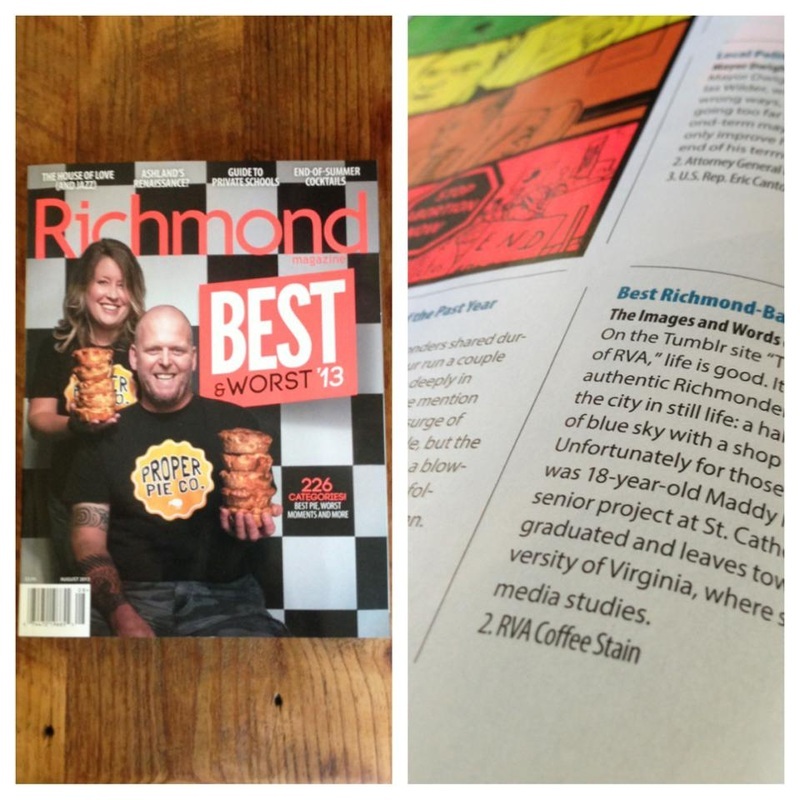 Thanks to the readers of Richmond Magazine this blog was voted the 2nd best Richmond-Based Tumblr Site. I have no idea how this happened, but next year I hope to make the Worst of 2014 list. I was stoked to have my work featured in the RVANews article "Drawing RVA, one cartoon at a time" If it wasn't for the people at RVANews I would probably be showcasing my art to a group of plush toys on my bed. It is all fun and games until one of your Tumblr posts ends up in the archives of a museum! 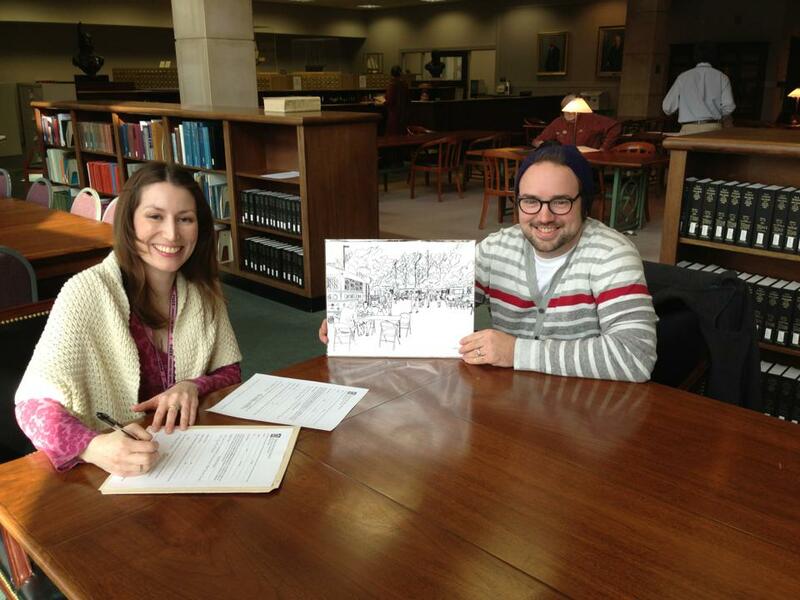 I’m honored that my food truck court print is now part of the archives at the VA Historical Society. You can view it by appointment with the museum’s Collections Manager, but only if you promise to take a funny picture with it. 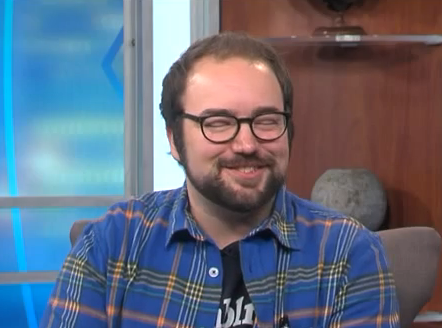 In January I appeared on the local Richmond morning show, Virginia this Morning. I tried so hard not to say anything stupid that I forgot about looking stupid, so I wore orange pants.